Mr Beigi obtained his first medical degree in 1980. This was followed by ten years training in Ophthalmology at University College Dublin, Bristol Eye Hospital and Moorfield's Eye Hospital in London. He has had substantial training in Oculoptastic, Reconstructive, lacrimal & orbital surgery which was completed at Moorfield's Eye Hospital. He has benefited from three fellowships in Oculoplastics, Paediatric Ophthalmology and Neuro-ophthalmology in reputable units in the UK and abroad. He performs modern cataract surgery, Strabismus (Squint) correction and treats children's eye diseases. He has a great deal of experience in treatment of the eyelid disease & abnormalities, watery eyes and cosmetic eyelid and mid-face surgery. 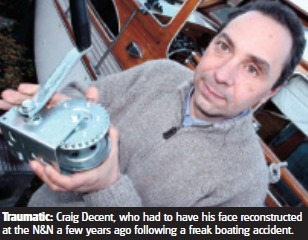 He is one of the handful of the orbital surgeons in the UK. Mr Beigi has been a member of the European Oculoplastic Surgery Society (ESOPRS) for ten years. He is an associate member of the American Ophthalmic Plastic, Reconstructive Surgery Society (ASOPRS). 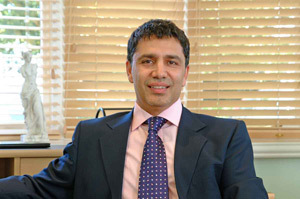 He is also a founder member of the British Oculoplastic Surgery Society (BOPSS). Mr Beigi specialises in eyelid and mid-face cosmetic and reconstructive surgery, performing over 600 eyelid and mid-face operations annually. He treats common eye diseases such as eyelid tumours, entropion, ectropion, epiphora (watering eyes), ptosis (droopy eyelid) and Thyroid Eye Disease. He provides highly advanced eyelid and mid-face cosmetic work, which has attracted Fellows from overseas which he trains annually. He is also a specialist in lacrimal and orbital surgery and the management of thyroid eye disease. He has written updates for the Royal College of Ophthalmologists on 'Thyroid Eye Disease' and the 'Management of Watery Eye'. Mr Beigi runs the Ocular Adnexal service in Norwich and is the Lead of Ophthalmology to the University of East Anglia. He is also a tutor, lead trainer, examiner and external clinical advisor for the Royal College of Ophthalmologists. He is a special advisor to the National Institute of Clinical Excellence (NICE) for new surgical procedures in the UK. He is also a clinical adviser to the Healthcare Commission in the UK. He has published over 60 articles and presented over 100 papers in reputable forums. He has pioneered surgical procedures in his field such as Radio-Frequency suture-less entropion surgery. His principal in surgery is the restoration of the normal anatomy by utilizing procedures that have been proven to be effective and safe. For more information, please visit Mr. Beigi's Ophthalmol.com website.